A quick post — as I likely won’t have time for much more this week. I’m busy shooting and editing for the Ann Brockman dance school — rehearsals all through the week and three shows next weekend. Beautiful production well beyond what you’d expect from this type of venue. Just goes to show how effort and talent will always trump boatloads of money. I absolutely love shooting dancers. I have this very clear gallery of images in my head whenever I shoot this subject, most of it black and white and very sculptural. I get completely lost in shapes and contrasts, movement. I find it very emotional for some reason. Using both cameras on the same gig also highlights how heavy and loud the DLSR kit now feels to me in these circumstances. This isn’t something I used to think about. Professional photographer = big loud camera right? Hmm… I’m not so sure anymore. 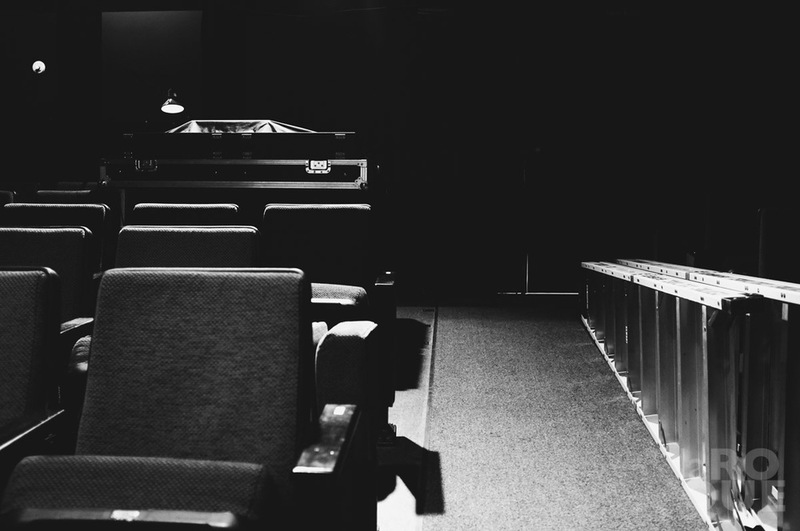 I find myself growing quite fond of stealthy & light, especially in a theatre setting. I can’t show anything from the show yet but here are a few peripheral shots from the X100.